Have you been asking for intuitive guidance and not “hearing” anything? This has happened to me a few times and it was pretty scary. I didn’t know what to do without my intuitive insight to guide me. “What direction should I take? What should I do next?” were some of the questions that went unanswered. Losing the connection to our inner guidance can leave us feeling as if we are in a rowboat in the middle of the ocean without any oars. When I was younger I ignored my inner voice which led to my making some pretty big mistakes in my life. But, after I began listening and saw how beautifully my life began working – I never ignored it again. So, after I began to rely upon it for every decision to have it go “all quiet” up there for a while was pretty darn scary. After I experienced this lack of communication from my intuition a couple of times I went back and reviewed my journal notes (another reason keeping a journal comes in very handy) to see what was happening that could have suppressed my inner guidance. The pattern I detected was fascinating. The first time I can recall experiencing “intuitive silence” was after I finally quit my regional sales manager position and went back to college. The second time was after I took a one semester sabbatical from my graduate program so I could work full time. The third time was when I bought my “dream” house. More recently, it was right after I sold my house. What this tells me is that there must be a time when your inner wisdom is gathering more information for the next phase in your life once you’ve followed its guidance and taken action. This also applies to when you don’t follow your intuition and change course as well. It’s as if you were on one path where your intuition was up ahead of you sending you back directions for how to navigate to arrive at your destination – and then you got there. Now what? What does your inner wisdom do now? While you are adjusting to your new life circumstances after following your intuition or after ignoring it, your inner navigation system moves forward along this new path (regardless of whether it’s the right path in your life or not) to scope out the way ahead for you. It is quiet because it (your inner GPS) is busy surveying the new landscape you are now in. It is creating a new “map” for you for you to follow. The good news is that whether you follow your inner guidance or not – your inner GPS maps out the way for you based on wherever you are in your life. One of the chapters in, “The Intuition Principle: How to Attract the Life You Dream Of,” is about finding your life purpose and true calling. (Chaper 7: Finding Your Passion, Purpose and Authenticity). You are here at this time for a purpose and your intuition is the key to accessing your very own inner instruction manual for how to find this purpose and true calling. It’s a voice activated instruction manual. All you have to do is ask and listen to your “inner voice” to hear these instructions. So, the point is that even when we make the wrong decisions in our life we can always navigate back to the “right path” by asking our intuition for directions. When you want to get somewhere you put the address into your navigational device, right? Then, as you drive the car – your GPS device calculates the directions to help you get to where you want to go. But, if you make a wrong turn somewhere the navigational device will recalculate the directions and start directing you from whatever point you are now at – to get you back on the right path to reach your destination. This is exactly what your intuition does too! It is your very own inner navigational device. e’re not always aware of everything we’re sensing our mind is working 24/7 recording every single piece of information we encounter within our environment. Later, when we need to access this inner wisdom our subconscious mind searches every piece of stored information in our brain. When you ask for intuitive guidance you will always get it but, not always at the exact moment you ask for it. You need to give your subconscious time to search and organize all the new data that is coming in when you make a big change to your life. 1. Ask for guidance but, then relax. Many times it comes later when we are doing something else, particularly, when we are doing something mindless like washing the dishes, taking a walk or a shower. The key to dealing with I.S. (intuitive silence) is to stay calm. e exactly where you are because you were “out of it” and on autopilot for a while during your day dream. You jump to conclusions and think you’ve missed your exit. This causes you to become frightened and panic and get off at the next exit thinking that you have make a U-Turn and go back. Doing this puts you in another completely unfamiliar area where you are now truly lost! If you had remained calm and kept following the road you were on for a few more minutes instead of panicking, you would have seen that you were going the right way and hadn’t missed your exit – which brings me to tip #3. 3. Stay the course! Keep on going in the direction you’re already on for a while to double check and be sure that you’re not making a hasty change of course while in panic mode. Just take it one day at a time and be as observant as possible. Once you have adjusted to the changes and begin moving forward your intuition will pick up on that signal and snap back into the “ON” position. 4. Give your inner navigational system time to adjust to the new landscape. After making any changes to your life (even the wrong ones) allow your intuition time to learn the new “lay of the land.” Once it has mapped the new area it will begin sending you signals again. Don’t ever panic and think you intuition has abandoned you. That simply cannot happen. It’s just a period of adjustment. 5. Sometimes you don’t need to hear your intuitive voice. Yes, you read that correctly. If you are already on the right path what you need is to do is develop faith in yourself and your intuition by placing one foot in front of the other and seeing how everything is working out for you. ached” to an outcome and stubbornly refuse to see the true path that your intuition has been trying to steer you toward. You need to be really honest with yourself to see why you don’t want to hear what you’ve been ignoring. I’ve done this numerous times so I speak from experience…it happens. 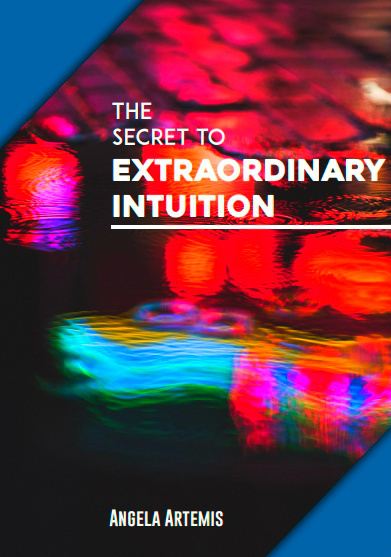 Are you experiencing “intuition silence” right now? What’s going on – have you just made big changes to your life? Or, are you attached to an outcome an purposely ignoring your intuition? Join the conversation! If you enjoyed this article please share on Facebook, Twitter or Google+. Thank you. P.S. 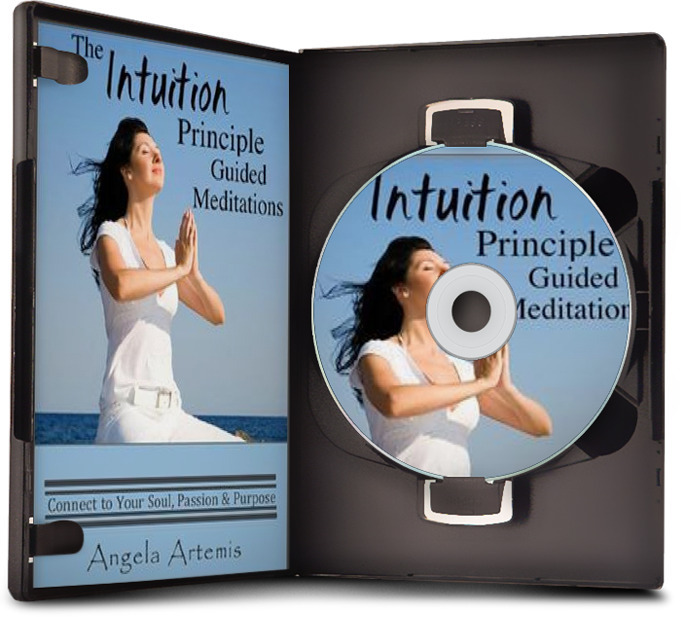 Want to learn more about getting guidance for you life from your intuition? Click here! 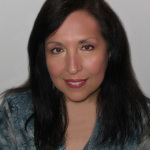 Listen to my interview on A Flourishing Life with Rita Schiano where we talk about living intuitively here. 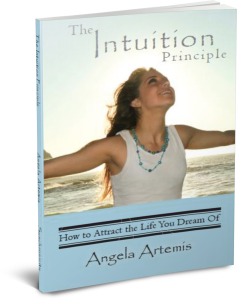 Read an interview about, “The Intuition Principle: How to Attract the Life You Dream Of,” on Change Your Thoughts here. This is a great topic and I’m glad you brought it up. I think one of the most powerful things to do also it so admit that you and your intuition just doesn’t know. Saying deeply, clearly and authentically “I don’t know” or even “I’m afraid” can be miraculous in showing where to go, in my experience. Sometimes it’s then asking for guidance or helping from the universe (insert belief system here) after that can be required but not always. I’m glad you enjoyed the post and found it helpful. When we are afraid and we admit it it’s deeply freeing. It can free up the intuitive mind to bring up the answser as well. When we say we don’t know – we just need time to allow our intuitive mind to find the solution. The solution is always there. It’s us (ego) who is not ready to deal with it. Thanks so much for sharing your thoughts with us David. Hmm, this is an interesting way of looking at it. I hadn’t really noticed these periods of radio silence, but if I do I’ll keep it in mind. I typically do make decisions based on a certain silence or calmness inside me that has no relation to the rational side of the problem, though. It’s a pleasure meeting you. Welcome. Beautiful! That’s it exactly. When we feel a sense of calm and peace inside that’s the choice to go with. Thank you so much for visiting and joining in the conversation here. It sounds like you’ve been given very specific instructions from you inner guidance as to how to handle this situation. Thank goodness you are who you are so that you’re not panicking right now. Short sales can take a long time. I think you are absolutely right in this case. Wait – let it all play out and then an opportunity for where to go next will present itself to you. Even that is okay – what is worse is not being open to listening to Intuition and regretting later! The “being attached to a particular outcome” is a common problem, especially when we want to take quick decisions! I think when we are mentally tired is when Intuition also needs to regroup itself as it needs a clear path to reach our consciousness. Lovely article! Thank you, Angela, Hugs to you! In the short term, when we can’t hear our intuition often it is due to being exhausted from overwork but, if this happens for several weeks or longer than it’s most likely adjusting to the new lay of the land after a big push forward. I’m glad you enjoyed this article Vidya! You are so right there Angela! Yes indeed, at times when you have achieved what you were wanting or reached that height or level or made the decisions you set out to make, your intuition does get silent for a while. But as soon as you are back to your work or other daily tasks, it comes back again, and starts guiding you. I remember the first time this happened to me when I had to make a choice about the career I wanted to choose after graduation. The again when I got married and lately, when I made a final switch after leaving my full time job and working as a freelance writer from home. I guess these were all major decisions of one’s life, so the intuition went into a ‘silent’ mode. However, in-between it’s always there guiding me right through. Loved the example of the navigation device in the car, which is so similar to our intuition that guides us. And the wonderful steps to take when your intuitions does go silent. Yes, it does go silent for a while but, as soon as you start setting new intentions it comes back on and begins to guide you. Thank you so much for you comment! I’m glad you enjoyed this article.